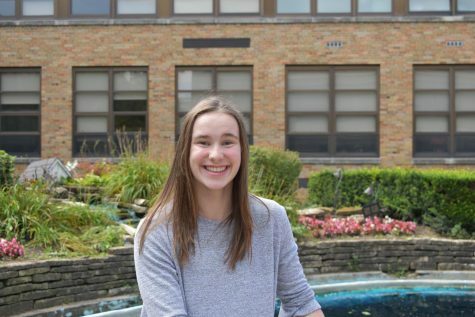 Mckenna Revord, junior, maintains her second place positioning throughout the race while running a personal best time of 17:08. 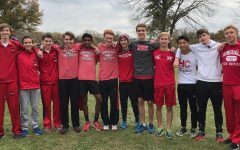 The varsity girl’s and boy’s cross country teams qualified for state after running in the IHSA Chicago Marist 3A Sectional in Midlothian Meadows, Midlothian Ill. on Saturday, Oct. 27. 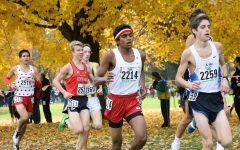 The girl’s race kicked off at 10 a.m. on a partly cloudy, 50 degree Saturday morning on a flat 2.98-mile course, but with multiple turns that slowed times down. 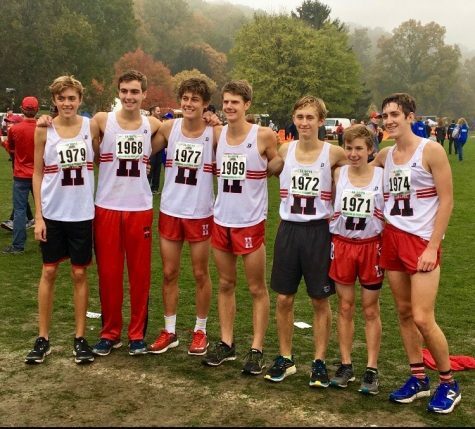 After the starting gun fired, the runners were packed in together until the end of the first mile, with every runner shoulder to shoulder, determined to get a spot to the IHSA state meet. 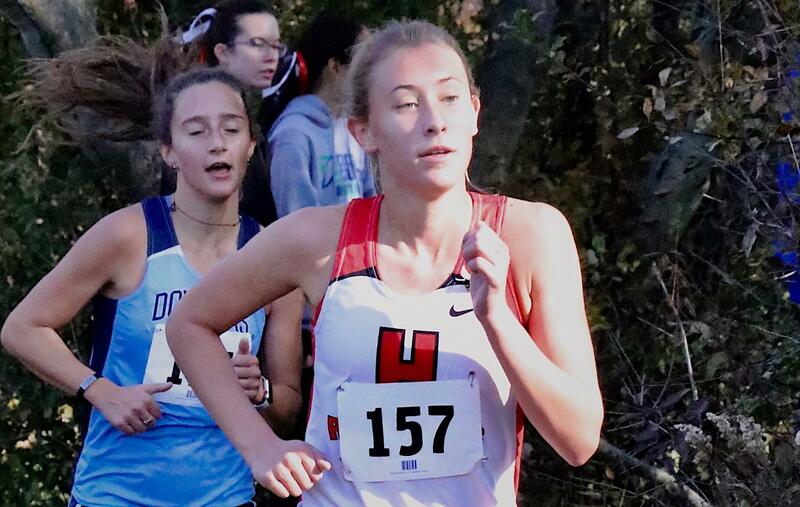 McKenna Revord, junior, led the front of the pack with Downers Grove South runner Brenna Cohoon and Plainfield North’s Juliana Stogsdill. 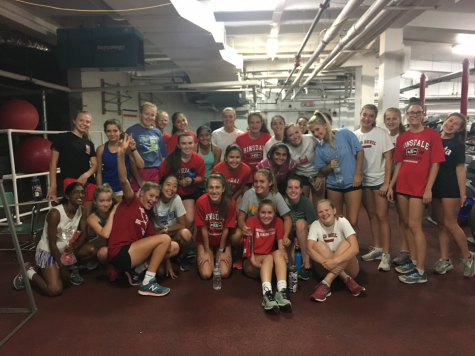 Taylor Wagner, junior, found a way out of the middle of the pack, surged past runners after the first mile, and caught up with teammates Melanie Chafin, senior, Kayla Byrne, senior, and Caitlin Chival, senior, who worked together through the rest of the race. 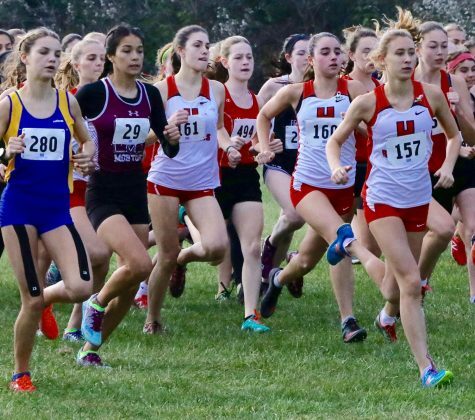 Melanie Chafin, senior, Kayla Byrne, senior, and McKenna Revord, junior, all get out of the gate to start the 2.98-mile IHSA 3A Chicago Marist Sectional at Midlothian Meadows. Racing into the woods section, Revord tried to close the gap between her and Cohoon, but ultimately secured her all-sectional second place finish with a personal best time of 17:08 following Cohoon with 17:01. 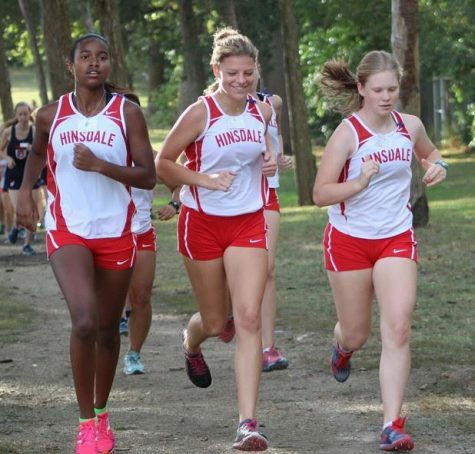 The Hinsdale Central girls worked in pairs to pace ahead of the other runners. 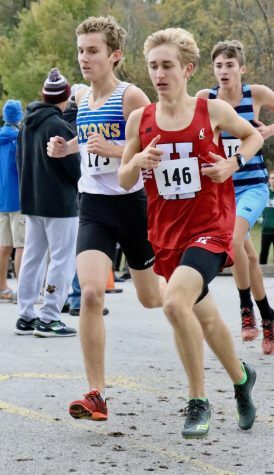 After crossing a narrow tree path with 400 meters left in the race, Wagner bolted around the final corner down the straightaway to the finish, with 17th place in 18:24. Byrne, bolted in the last 150 meters to pass opposing runners 18:26 (18), Chafin 18:29 (21), and Chival, 18:30 (22). 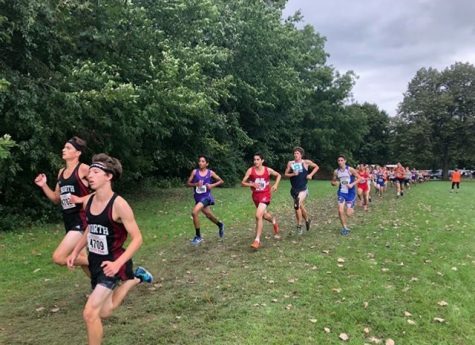 That performance rounded out the top five runners for the team, who all accumulated a third-place finish with 80 points, behind powerhouse teams Lyons Township in second place with 59 points, and meet champion Downers Grove South with 29 points. 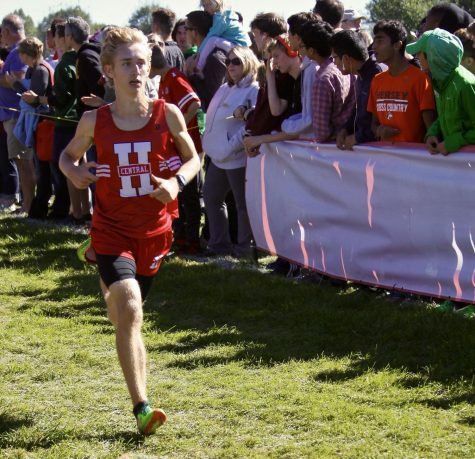 Matt Kusak, senior, runs across the asphalt road during the IHSA 3A Chicago Marist Sectional at Midlothian Meadows. 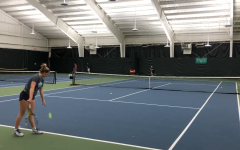 “Our goal was to certainly be in the top three and to be as close to the top two as we could to take a step forward in that way, and which certainly we did that today in terms of proximity to LT,” said Mark McCabe, head coach. 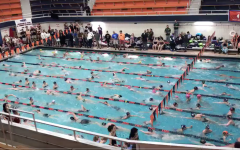 The boy’s race of 140 competitors fired off at 11 a.m. 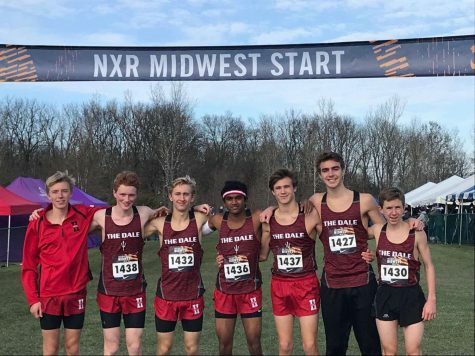 The runners charged at the start of the race, down the straightaway, with everyone right on each other’s heels, in order to move toward the state meet. 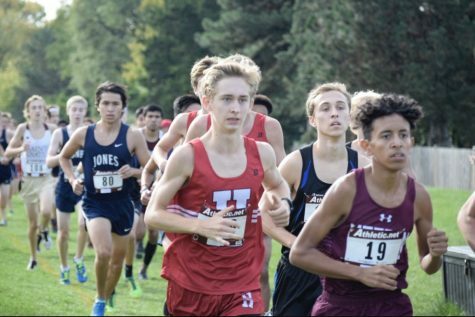 During the first mile in a cluster of runners, Matt Kusak, senior, led the Devils. Carter McCarroll, junior, and Piyush Mekla, sophomore, weren’t far behind. 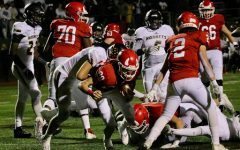 It wasn’t long until the team got past the first mile and started to gain control. Both Kusak and Mekla worked through the top group of runners and established a lead scoring position for the Devils. McCarroll, who fell back at one point regained his position later in the second mile. Alec Hill, senior, and Will Ricker, senior, worked together to maintain their fourth and fifth spots on the team. 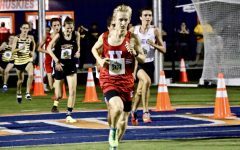 Pushing towards the end of the race, the winner, Bolingbrook’s Tyler Cushing, led the entire field with a time of 14:30. 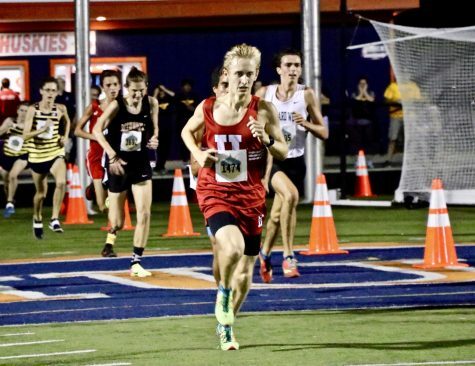 Not too long after, Kusak churned his legs down the long straightaway to the finish, edging out runners to close out a sub 15:00 minute, finishing in seventh place with 14:59. 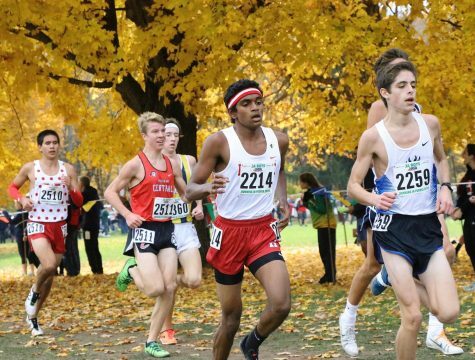 Mekla, 100 feet behind, swiftly turned over his legs to the finish in 12th place with 15:04, while McCarroll came down the straightaway to finish 21st in 15:17. 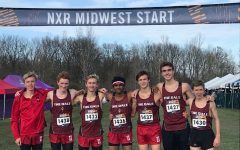 Hill finished in 35th with a time of 15:40, while Ricker added to the fifth spot in 42nd place with 15:45, which totaled to Central’s 120 points, a close fifth-place finish in the sectional, behind Orland Park Sandburg with 105, Lyons Township with 88, Downers Grove North with 86, and Downers Grove South with 69. 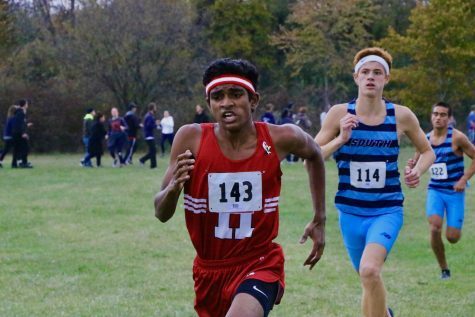 Piyush Mekla, sophomore, puts in a surge towards the end of the race, running a 15:04. 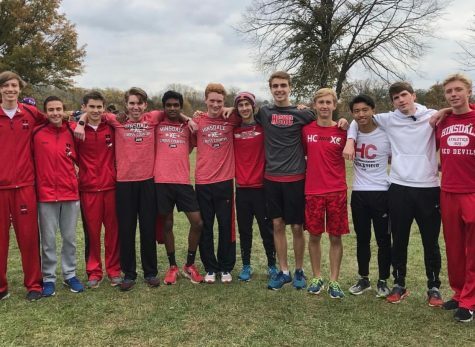 Both the boys and girls teams qualified for the IHSA 3A state meet in Detweiller Park, Peoria, Ill. which will take place on Saturday, Nov. 3, at 1 p.m. and both teams have high hopes going into the final race of the postseason. 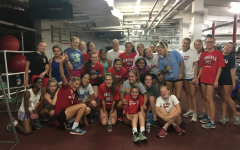 For more Central Cross Country updates and information check out the boy’s and girl’s cross country website.